Karen Hawkins, our Buyer’s Agent, former personal assistant and “right arm” has been working with us since 1987. 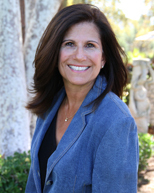 She joined our Team exclusively in 1993 and brings 24 years of real estate experience to our team. She is capable, professional, detail oriented, and very dedicated to the success of our Team. Time and again, our clients tell us Karen is a delight to work with and that they are tremendously satisfied with the commitment she shows them. She is available to answer inquiries about your property as well as to show to prospective buyers as needed.